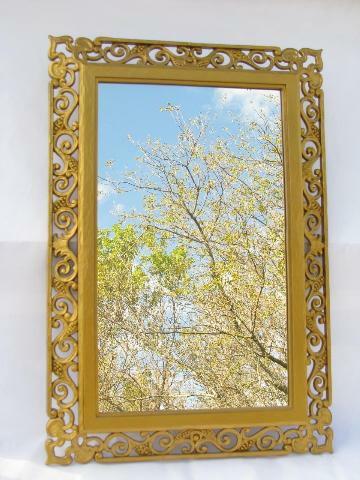 Florentine or spanish colonial style mirror with ornate gold frame, made to hang vertically or horizontally, which is nice! This is a 60s vintage Syroco piece, heavy plastic or composition with a antique gold finish. The frame measures 25" x 17" overall, and it's 18 3/4" x 11" over the glass. 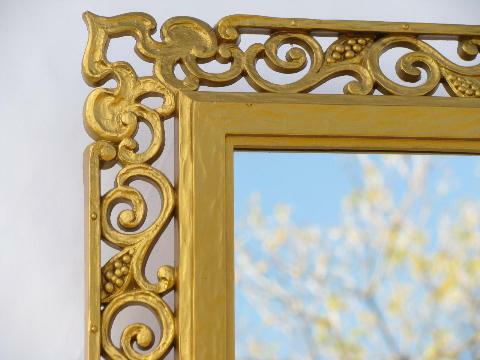 Both the glass mirror and frame are in excellent condition.